Jan. 29, 2018, 11:13 a.m.
By Shan Wang @shansquared Jan. 29, 2018, 11:13 a.m. This is a story all of us hope has a happy ending. But even its authors only have so much control. Two summers ago, a group of four investors bought the largest paper serving the westernmost part of Massachusetts, the Berkshire Eagle, as well as a collection of Vermont papers, the Bennington Banner, the Brattleboro Reformer, and the Manchester Journal. The excitement was infectious. But I’m not a disinterested party: I grew up in the Berkshires, near the Vermont border. My parents still live there, as do some of my high school friends. As a teen, I wrote letters to the editor that got printed. My parents clipped the sports pages where I appeared somewhere in the back of a team lineup. I felt worldly listening to our nearest NPR affiliate, WAMC in Albany, mention new Berkshires concerts or art exhibitions. When I went away to college, the Berkshires began slipping away from me, a blip on my Facebook whenever a friend would share a local crime story. From afar, the work of bringing back thousands of lapsed subscribers and adding on new readers in a county with a steadily declining, aging population of fewer than 130,000 people goes beyond my own imagination. At a distance, I hear about all those now-closed department stores at the only mall nearby that would advertise in the Eagle when they were still open, and wonder how it’s possible to sustain a print product. But I’m not the one doing the work. The importance of what’s happening at the Eagle and across the Vermont papers goes beyond personal nostalgia. It’s an attempt to answer a question that will be asked a lot in the coming years: Can a local newspaper be revived by shuffling off a chain owner and becoming truly local again? BerkshireEagle.com lets you read three stories before hitting the paywall, and a digital-only subscription costs $13 per month — the same price as digital all-access plus the Sunday print edition. (The site blocks anyone going the incognito browser route.) In the past month, social referrals accounted for 22 percent of online traffic (almost all of that, Facebook, where the Eagle page has about 40,000 followers). 30 percent is direct traffic to the site. As anyone working in local news is painfully aware, DFM still owns prominent but struggling local news organizations like The Denver Post and papers in the Bay Area News Group and Southern California News Group, which are currently laying off staff. The media group itself is owned by a secretive New York hedge fund, whose hedge fund-y enthusiasm for cost-cutting is at odds with the community-focused mandate held closely by journalists working at papers it owns. The Eagle is among the 97 percent of daily or weekly papers operating in the U.S. that have circulations under 50,000, according to Editor & Publisher data. 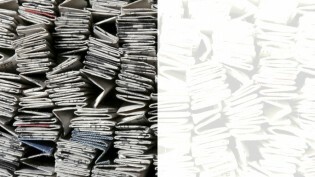 But among newspapers that have moved from national chains to local ownership, it’s one of a handful. In Utah, the Huntsman family bought the the Salt Lake Tribune from DFM, a sale announced the day before the Eagle’s. In Alaska, the experiment went awry, and the Alaska Dispatch News went bankrupt: “I simply ran out of my ability to subsidize this great news product,” majority owner Alice Rogoff said last summer. “I think it’s important to be able to understand if this can work, and if it does, how much money does it take to make it work, and whether it can serve as a model,” he said. Moran and Rutberg fanned out recent editions of the Eagle during my newsroom visit, cracking light jokes about the organization’s new drone capabilities (“The Eagle flies now,” “we’ve elevated our coverage”). A few months ago, national press became interested in the county, in large part because of a controversial proposed sale of beloved pieces of art in order to finance a museum’s overhaul. One of the Eagle’s mandates under new ownership has been to bulk up its arts and culture writing, and the museum saga coverage has certainly been unrelenting, with dozens of pieces so far on all facets of the issue. This past summer, the Eagle introduced a colorful, bulked-up new 12-page weekend features section called Landscapes, expanding its former lifestyles section. Every section is getting a similar full re-evaluation, Moran said, most recently sports, which now has added features like high school athlete spotlights, a type of story conducive to Facebook-sharing. The section-by-section reworking process is now internally known as “landscaping,” and will take place at the three Vermont organizations as well. This revamping moves the other way, too. Last year, the Bennington Banner and Manchester Journal held a sports gala celebrating local high school athletes with Olympic gymnast Gabby Douglas as the special guest, selling tickets to and sponsorships for the event. The Berkshire Eagle sports department will test the events model this coming June, according to Moran. The outlets together also launched a sponsored, tourism-focused GoShires VT app, which they’re hoping to expand as well. Promise aside, the Berkshire Eagle needs to serve an often overlooked county. The Boston Globe doesn’t reach that far west, and New York outlets don’t reach that far east. Online, the free iBerkshires.com covers council meetings and school closings and events. Rutberg hosts frequent “coffee with the president” open houses throughout the county to meet Berkshire residents personally, talking to them about the Eagle’s improvements and the organization’s desire to really hear out each town. And reaching those who don’t already read the paper? “That’s the conundrum,” he admitted. The Eagle has tried to branch out with podcasts like its Accents series, which profiles immigrants who now live in the Berkshires, hosted by a local freelancer (the series is sponsored by a local credit union). The possibilities for new readers extend beyond permanent county residents, Rutberg suggested. Could the Eagle come up with a paid-for arts and culture offering that can be targeted at the seasonal audiences who come for summer theater or for music in the area? Maybe a separate offering for “the Berkshire diaspora” — people who once worked there, lived there, went to college there, or, like me, grew up there? 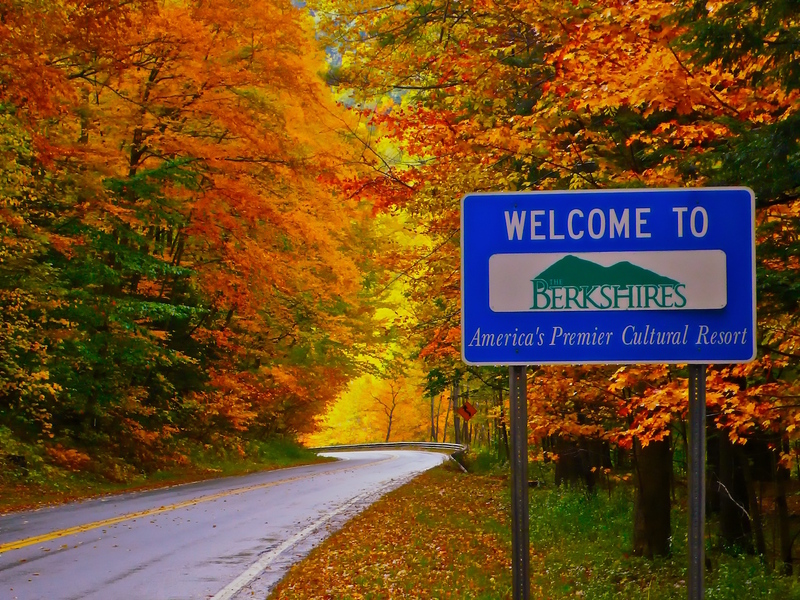 Welcome to the Berkshires sign in Massachusetts, by Timothy Valentine. Used under a Creative Commons license. POSTED Jan. 29, 2018, 11:13 a.m.
Wang, Shan. "Local owners bought this newspaper back from a cost-cutting national chain. Next step: Bringing back the readers." Nieman Journalism Lab. Nieman Foundation for Journalism at Harvard, 29 Jan. 2018. Web. 19 Apr. 2019. Wang, Shan. 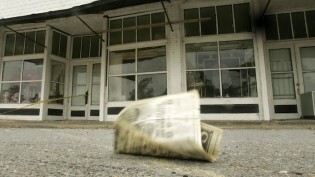 "Local owners bought this newspaper back from a cost-cutting national chain. Next step: Bringing back the readers." Nieman Journalism Lab. Last modified January 29, 2018. Accessed April 19, 2019. https://www.niemanlab.org/2018/01/local-owners-bought-this-newspaper-back-from-a-cost-cutting-national-chain-next-step-bringing-back-the-readers/.